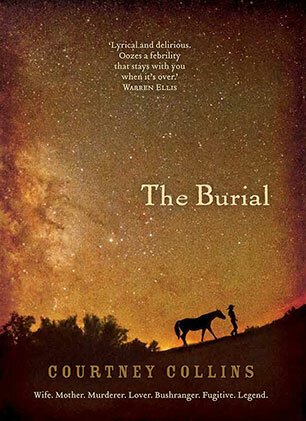 The Burial is the debut novel of Courtney Collins. It has been optioned for a feature film by Renegade Films. Courtney's next work in progress, The Walkman Mix has already received attention through the Melbourne Lord Mayor's Creative Writing Award 2011. Courtney grew up in the Hunter Valley in NSW. She now lives on the Goulburn River in regional Victoria.